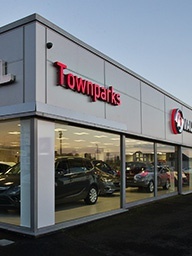 At Townparks Northern Ireland we have a large display offering an ever-growing selection of All Makes Quality Used Cars, all in one location. Part Exchanges are always welcome, if your current car has finance we can easily arrange to transfer this to your new car. Our finance specialists are on site to help you with this process and take you through the many finance options available. Browse our selection below and contact us today to book a test drive.